Christine Silcocks and Diane Strey see their struggle as a corollary to the #MeToo movement. Christine Silcocks knew what to expect when she entered her patient’s room at the start of her nursing shift. On the bed lay a young woman crying hysterically. Less than two hours earlier, her baby’s heart had suddenly stopped during active labor. Her parents were crying; her friends were crying. Only her boyfriend was managing to hold back tears. When the stillbirth occurred in May 2010, Silcocks had worked at Washington Hospital in Fremont for 31 years, including more than a decade as a labor and delivery nurse. She was also the only trained psychiatric nurse at the birthing center, so her job included caring for grieving mothers. But this case was clearly different — although Silcocks could not have known that it would soon lead to the end of her nursing career and a long legal battle against the hospital that has still not been settled. Moments before the young mother received an epidural, the unborn baby showed a strong heart rate. Less than an hour later, it was gone. Inside the room, Silcocks explained to the mother that the birth had to go on and that she would help her every step of the way. It took about two hours for the baby girl to be delivered. The amniotic fluid was dark and had a foul odor, Silcocks recalled. Following the family’s wishes, she bathed the girl, dressed her, and had her christened. Family members took turns holding her. “It was the most emotional thing you could ever imagine,” she said. Silcocks said that soon after, two of her bosses pulled her aside outside the patient’s room and told her the hospital wanted a tissue sample of the baby for its pathologists to inspect. Silcocks refused, insisting that the hospital was legally required to first have the coroner inspect the body. She stayed in the family’s room late into the night until an Alameda County sheriff’s deputy arrived to take the baby. “I believe that was the beginning of the end of my job,” she said. The stillbirth marked the end of several people’s jobs at Washington Hospital, even though the autopsy found that the fetus had died from an amniotic fluid infection — not through any obvious fault of the hospital or its nurses. But the autopsy report wasn’t released until nearly two months after the death. Silcocks and other nurses maintain that the hospital, seeking to avoid the wrath of state regulators, overreacted to what was a tragic incident. The two nurses directly responsible for the mother’s care at the time of the fetal demise were fired. So were at least three other nurses, whom the hospital accused of looking at the patient’s fetal heart-rate chart. Multiple nurses said they would do that only to understand and learn from what went wrong, but the hospital held that it was a violation of federal law protecting patient privacy, because the young mother was not the nurses’ patient. Silcocks and her colleague Diane Strey, who ended up losing her career and her home, faced a different fate. They had not been involved in the care of the young mother before the stillbirth. Yet exactly two weeks after it occurred, Silcocks and Strey and two other nurses were ordered off the floor and into the office of Rosa Romero, the hospital’s chief of patient care. As Silcocks arrived, one of the other nurses was leaving in tears. “I felt like I was going in front of a firing squad,” she said. ‘“This is not good,’ ” Silcocks recalled Romero telling her. ‘“Listen to everything I say, and if you don’t comply, you will be terminated or you can resign.’” The nurses were being ordered to attend an open-ended remedial training class that ultimately lasted 6½ weeks. They were told that failing their exams would cost them their jobs, Silcocks said. Romero, who is no longer with Washington Hospital, declined to be interviewed for this report. In court papers, however, she denied ever threatening anyone’s job. But there was no disagreement about the accusations facing Silcocks, Strey, and the other two nurses who were not involved in the death. According to testimony from Romero and Chief Nursing Officer Jan Wood, three doctors had warned that these nurses were unsafe, lacked critical thinking skills, and couldn’t adequately chart fetal heart rates. Romero and Wood provided no evidence to back up their claims, court records show. Silcocks had nothing but positive performance evaluations. And, like every nurse in the unit, she was certified in charting fetal heart rates. Of the four nurses placed in the remedial class for allegedly being unsafe, one was among those later fired for reviewing the mother’s fetal heart-rate charts. Another returned to her job midway through the class and, according to the hospital, is now a nurse manager at the birthing center. But Silcocks and Strey decided to fight to clear their names. They spoke at hospital board meetings and filed a complaint with state regulators that resulted in a sharp reprimand over the hospital’s response to the stillbirth. And they supported each other through the hardest years of their lives. After they both agreed to settle their civil claims against Washington through mediation, Strey took the hospital to trial seeking workers’ compensation benefits. Not only did she win, but the hospital’s allegations against both nurses unraveled as the doctors alleged to have called a meeting to warn hospital administrators that Strey and Silcocks were unsafe contradicted those claims. After Strey prevailed in her case, Silcocks said the hospital late last year offered her $180,000 to settle, but she won’t sign any agreement that prohibits her from sharing her story. Both nurses see their struggle as a corollary to the #MeToo movement — they were subjugated and humiliated by powerful people who cost them their dream jobs but keep fighting in hopes that others won’t succumb. Built by Alameda County taxpayers and overseen by a publicly elected board of directors, Washington Hospital has won awards and recognition for its care, but it’s also no stranger to controversy. Many doctors and nurses have alleged that hospital administrators and managers often treat their staff harshly and sometimes engage in questionable practices. Two years prior to the stillbirth, Evelyn Li, a former doctor at Washington, made a full-length documentary strongly criticizing the hospital. The film, Life for Sale, included interviews with several Washington doctors accusing the hospital — and the health care industry — of basing key decisions on profit rather than patient welfare, giving lucrative and often ceremonial posts to doctors who abide by administrators’ demands, and retaliating against doctors who challenge them. The film drew a sharp response from Washington Hospital’s longtime CEO Nancy Farber, who was taken to task for her annual salary, which has topped $1 million and frequently placed her among the state’s highest-paid public employees. During a board meeting, Farber read aloud a petition signed by 276 nurses proclaiming they no longer wanted to work with the doctors who appeared in the film and asked the hospital to take action against them. The doctor who had the most to lose was Bhupinder Bhandari, a gastroenterologist who had been recently elected by peers to become Washington’s chief of staff for the upcoming year. Bhandari, who never said anything negative specifically about Washington in the film, quickly apologized for his involvement. But the hospital removed him from the lucrative emergency room rotation and had him monitored by fellow physicians as though he had just received his medical license, said his attorney Chris Dolan. Hospital officials then circulated a petition asking doctors to authorize a vote to recall him as chief of staff elect. When they couldn’t get enough votes, the hospital’s Medical Staff Executive Committee overturned the election, ruling that Bhandari was no longer a member in good standing. Bhandari sued the hospital in 2009, but Dolan said the case still hasn’t made it to trial, because the hospital has thrown up procedural roadblocks, filing motions trying to get the case withdrawn and then appealing the rulings. But former health care workers at Washington say the hospital has a record of exacting retribution against outspoken employees. Lisa Bates, a nurse who had been a thorn in management’s side, was fired after being injured on the job. Bates chaired the hospital’s Professional Performance Committee, which advocates for improved patient care practices. She spoke at board meetings defending the nurses disciplined following the stillbirth. And when the hospital was seeking coveted “Magnet Status” for its nursing program, she demanded that the accreditors meet with her committee. When the meeting finally took place, Bates said that several pro-management nurses walked into the conference room, telling her that Wood, the chief nursing officer, had asked them to attend. About two years later when Bates injured her back, the hospital terminated her, alleging workers’ compensation fraud. As Bates prepared for an arbitration hearing, she received a DVD in the mail containing three days of footage taken by a private investigator paid to follow her around. Silcocks and Strey said they were well aware the administration ruled “with an iron fist” long before they were forced into the remediation class. But neither was ready to leave one of the top-paying hospitals in the Bay Area. Silcocks, now 67, was nearing retirement age. And Strey, who is now 60 years old and became a nurse in her mid-40s, relished being her family’s breadwinner. But after years of avoiding trouble, Strey and Silcocks were suddenly in the thick of it — and they had no idea why. The remedial class began less than three weeks after the stillbirth. Strey and Silcocks said they were ordered to report each day to a windowless classroom in a satellite administrative building wearing their white nurses’ uniforms. “They wanted to make a spectacle out of us to intimidate other nurses,” Silcocks said. For three weeks, they said, the class had no textbook. Instead of focusing on their alleged difficulty charting fetal heart-rates, the hospital was teaching them to wash their hands and fill out paperwork, as if they were recent nursing school graduates. “It was all things we had done a million times,” Strey said. Meanwhile, the union tried in vain to intervene on the nurses’ behalf. During a public meeting, it presented the hospital’s board of directors with a survey showing that 70 percent of Washington nurses feared retaliation if they brought a concern to the hospital. But the elected board members, whose tenure ranges from 12 to over 30 years, took no action and refused to meet privately with the nurses. Board members, who were criticized by the Alameda County grand jury in 2014 for violating state open meeting laws, also did not respond to interview requests for this report. With the board unwilling to intervene, there was little the union could do to defend Strey and Silcocks. Sending nurses to remedial training wasn’t technically discipline under the union contract, said Fillingim, the CNA representative, and Strey and Silcocks were paid their full salaries throughout. “It’s painful; it’s cruel, but they have the power and authority to do that,” Fillingim said. And if Strey and Silcocks refused to attend the class, they could be fired for deserting their jobs. Later that month, Wescott said he was escorted to human resources and told he made derogatory comments about the administration. He was put on administrative leave just months before his scheduled retirement and ushered out by security. Strey never returned to work at Washington Hospital. After completing the remedial class in late July, she said Romero threatened to write her up if she returned, and her doctor told her she couldn’t handle the stress. Silcocks did return but said the retaliation started immediately. She said she was assigned to an inexperienced nurse who had to document everything she did and was told that her orientation would be ongoing. She said that after handling several complicated deliveries, she was taken into a manager’s office where her patient’s fetal heart-rate charts were stacked on a desk. At that point, she was certain the hospital was “putting her through the ringer” until it could document a reason to get rid of her, she said. At that point, Silcocks’ and Strey’s plight had already been covered in the Fremont Argus. Now, they were determined to clear their names and get to the bottom of what had happened. Their first breakthrough came when the California Department of Public Health issued its report on the stillbirth. State officials found that the two nurses assigned to care for the mother had failed to follow fetal heart-rate monitoring protocol and maintain fetal heart-rate readings but issued no fines. 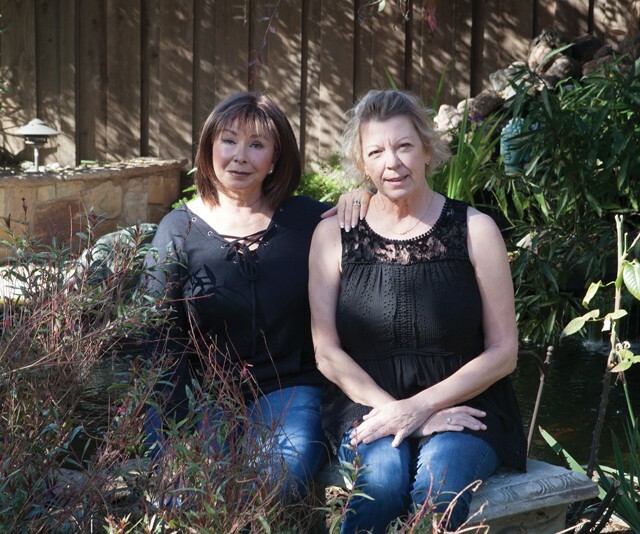 The two nurses who lost their jobs were also reported to the California Board of Registered Nursing and had their licenses placed on probation. The young mother, who was 19 the time of the stillbirth, later sued Washington. The case settled for an undisclosed sum. For Strey and Silcocks, the key information came in the hospital’s response to the California Department of Public Health. Romero wrote that Washington had “administered skills test for [labor and delivery] competency for all [nurses], and provided remediation training for those that did not pass the test.” The corrective actions were completed in June 2010, Romero added. Romero later acknowledged in court papers that the statement was incorrect. No nurses at that point had been tested, not even the four forced into remedial training. Farber, Washington’s CEO, responded with a terse letter insisting that it could do employee training as it saw fit. “Waiting for documented performance issues before a nurse can be required to undergo retraining in their field puts patients at risk and yields absurd results,” she wrote. Her argument was based on the assertion by Wood, the chief nursing officer, that three doctors had called a meeting to warn her that the nurses placed in the remediation class were unsafe. But that claim would soon unravel. But not only was Kneler not in that meeting, he had retired from the hospital at the time of the stillbirth. The doctor whom Wood meant to identify during the 2013 deposition was Scott Mack, who, in 2010, was the chair of Washington’s Obstetrics Department. Mack called Strey and Silcocks “fine nurses” and explained why he and his colleagues didn’t want to intervene in the dispute. “Physicians at Washington Hospital … don’t like to mess with [the] administration, because it’s a very strong administration,” he said. The two other doctors, who at the time of the trial were both still affiliated with Washington, gave differing testimony about the nurses’ performance but agreed the administration had asked for the meeting. No one could recall the date of the meeting, and notes taken by a hospital official were lost. “In all, there was no evidence that any physician demanded or even suggested that [Strey] be immediately removed from her practice and subjected to full-time retraining,” wrote Workers’ Compensation Judge Therese Da Silva, in her ruling awarding Strey workers’ compensation benefits. Da Silva also noted that Washington never produced documents showing deficiencies in Strey’s fetal heart-rate charts. And like Silcocks, Strey’s recent annual performance evaluations showed that she met or exceeded all expectations. The dispute remains unsettled. Washington lost its appeals seeking to overturn Judge Da Silva’s ruling, but the hospital has yet to agree on how much to compensate Strey, who is seeking more than $400,000. And the hospital will either have to settle with Silcocks or go through essentially the same trial. Whatever Strey receives from Washington can’t make up for what she has lost. Like Silcocks, she never got another nursing job. Age could have been a factor, but Strey said several hospitals stopped considering her after learning that she wasn’t eligible for re-hire at Washington. Unlike several nurses who left Washington in the aftermath of the stillbirth, Strey — as well as Silcocks — declined a $21,000 settlement from the hospital, which she said included a pledge that her file would show no wrongdoing. Her home in San Ramon was foreclosed in 2012, and her family went several years without medical insurance. “It’s like they had voodoo dolls of us, and they just kept piercing them,” said Strey, who now rents a home with her adult children in San Ramon. Part of the agony is still not knowing why she was among the nurses taken off the floor. Strey’s best guess is that she was relatively new — and somewhat of an outsider — in a department that had powerful cliques. Silcocks was one of her better work friends. When their families couldn’t stand to hear anything more about what had happened to them or see them in pain, Strey and Silcocks had each other — and their shared struggle to restore their sense of themselves as good nurses. They found lawyers, tracked down witnesses, and helped their attorney prepare for depositions. Strey, a former secretary at Safeway, handled most of the logistics, with Silcocks helping her get through the workers’ compensation trial. “We kept up the fight because we don’t want this happening to any other nurses, and we don’t want any nurses to think they can’t fight back and win,” Silcocks said. More than seven years since her nursing career ended, Silcocks helps care for her husband, who suffers from an illness that has damaged the nerves in his legs. She also dotes on her three nearby grandchildren and does upkeep on her 127-year-old home and the adjoining yard with its 62 rose bushes. It’s hard to know what would ultimately count as a victory for Silcocks and Strey. As much as they want to be a source of strength for other nurses, they could also be seen as a cautionary tale of what can be lost when you challenge a powerful institution. Matthew Artz was a longtime reporter for the Bay Area News Group and covered Washington Hospital at the time of the stillborn birth. He currently works for the National Union of Healthcare Workers, which does not represent workers at Washington Hospital.